What a magical place! As you pass the lake and proceed along the drive, the true splendour of this wonderful property is savoured for the last moment. From the parking area you enter the beautifully landscaped and maintained formal garden through an arched gate in a stone wall. 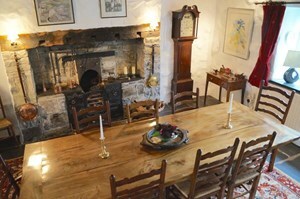 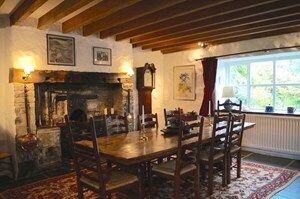 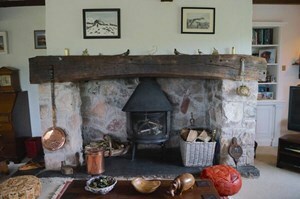 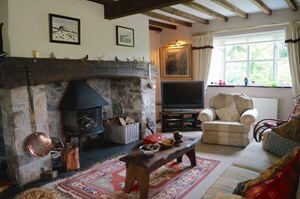 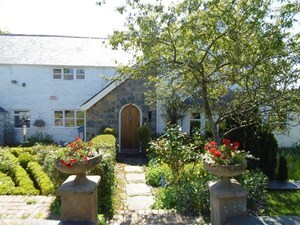 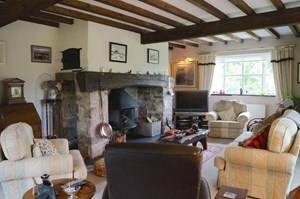 The farmhouse sits beyond this and you get your first glimpse of the spectacular views. 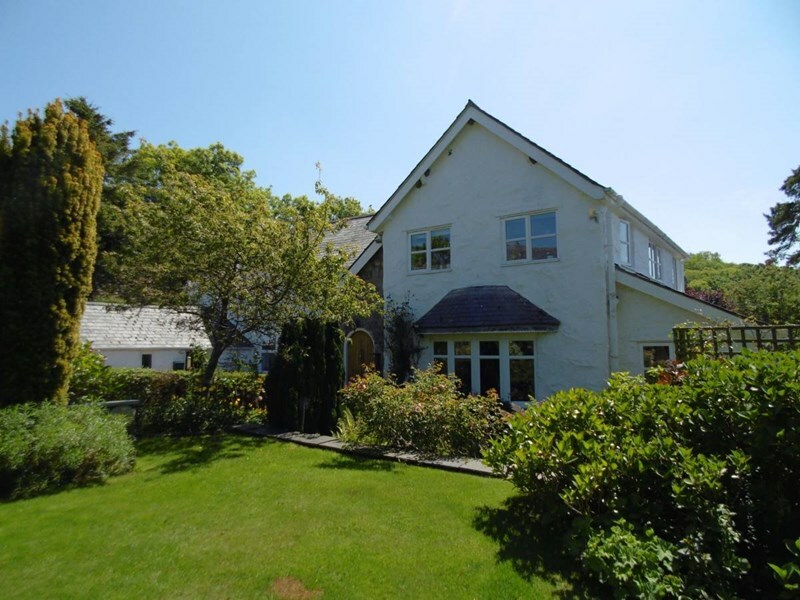 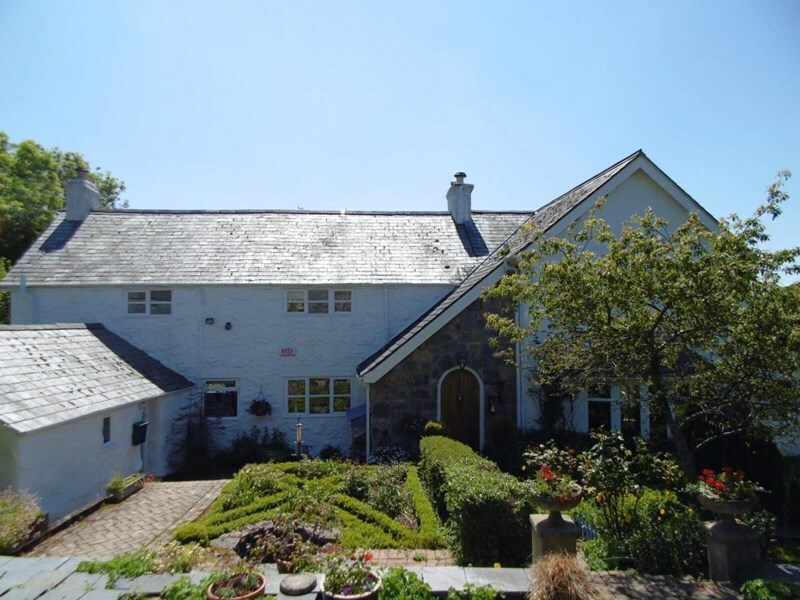 The property has spacious accommodation, is beautifully presented, and includes: Entrance hall, cloakroom, magnificent lounge with feature inglenook fireplace, sun room, study, kitchen/snug opening into the conservatory, dining room and utility room to the ground floor. 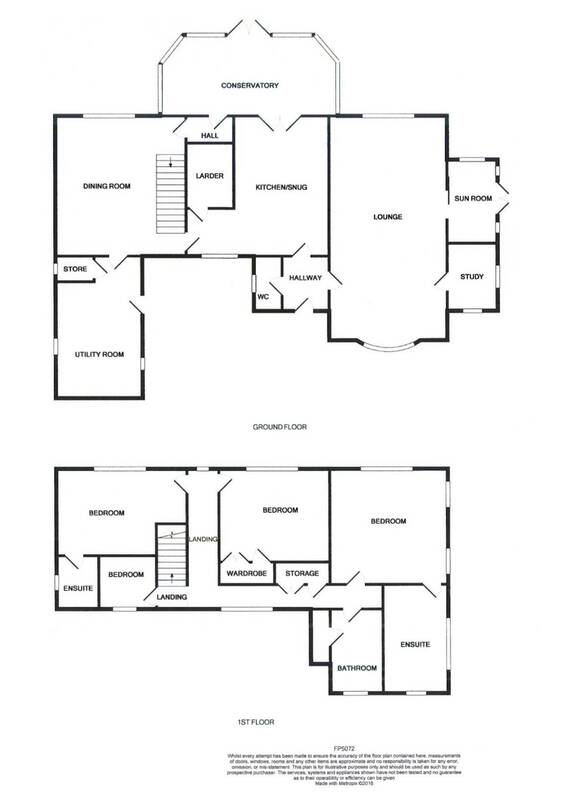 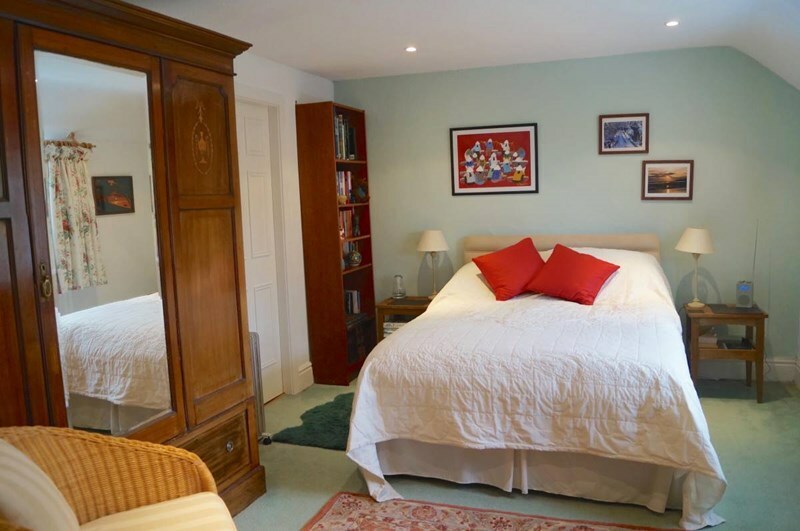 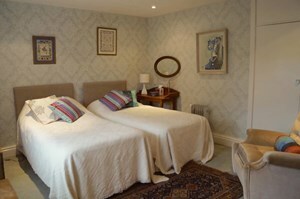 On the first floor there are four bedrooms, two with ensuite, and a family bathroom. 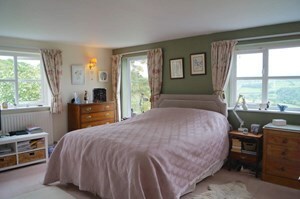 The master bedroom makes most of the incredible view with dual aspect windows that look across the valley to the magnificent mountains of Snowdonia. There is upvc double glazing and oil fired central heating. 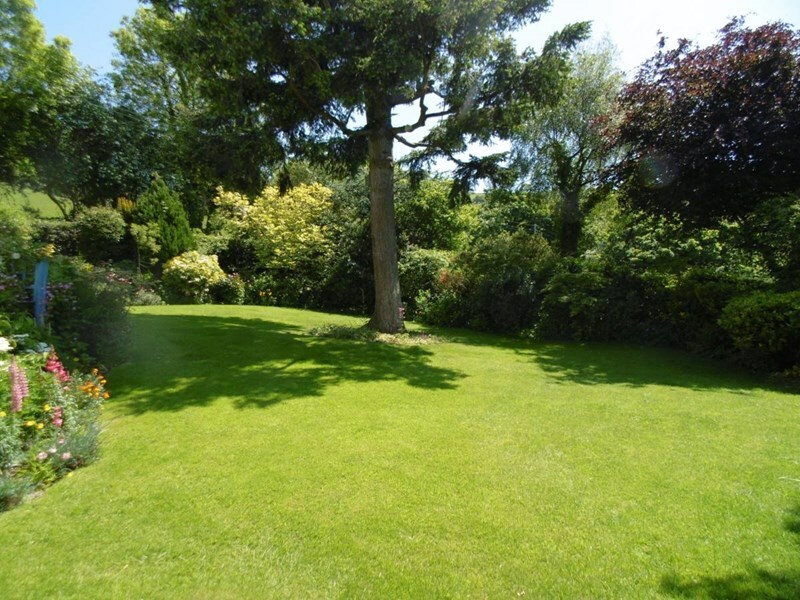 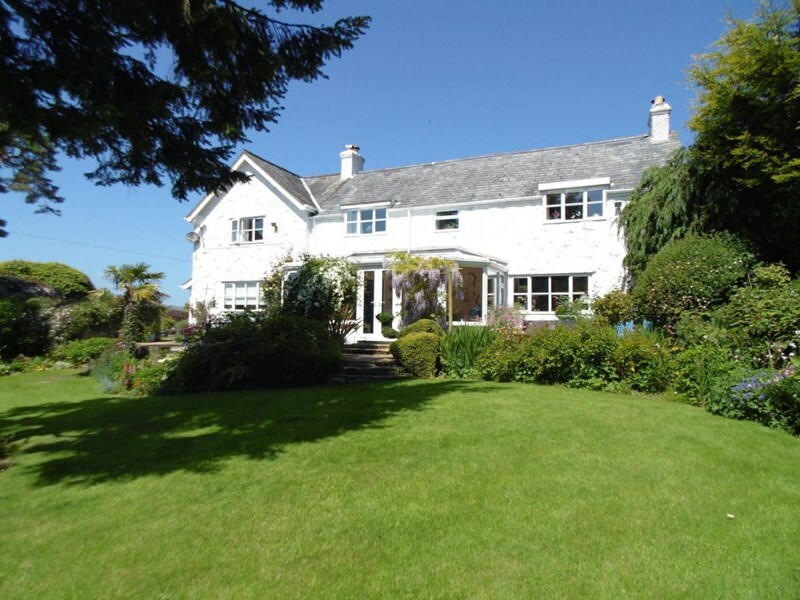 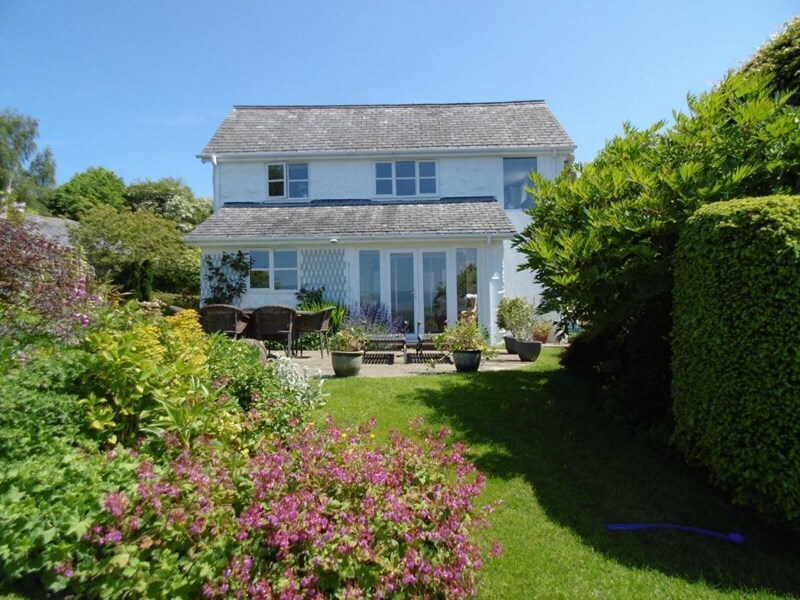 The beautiful garden flows to the side and rear of the property and is laid mainly to lawn with mature shrubs, plants, flowers and trees with patio seating areas ideally placed to relax and enjoy the view. 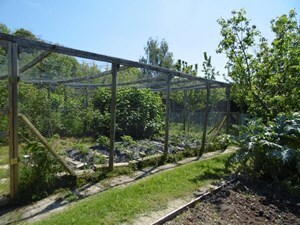 Beyond the formal gardens a fenced plantation gives space for fruit and vegetable growth, along with a good size chicken run. 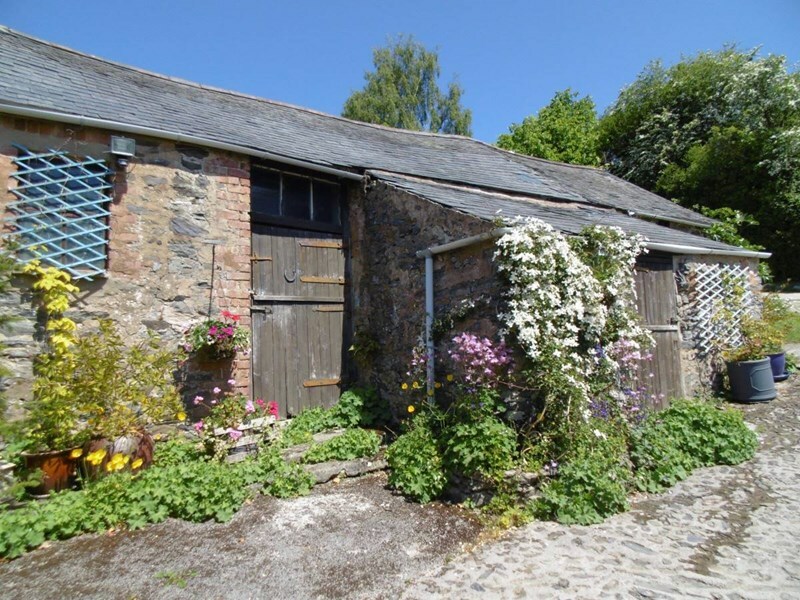 There are a range of original farm outbuildings currently used for storage, but potentially with a variety of uses. 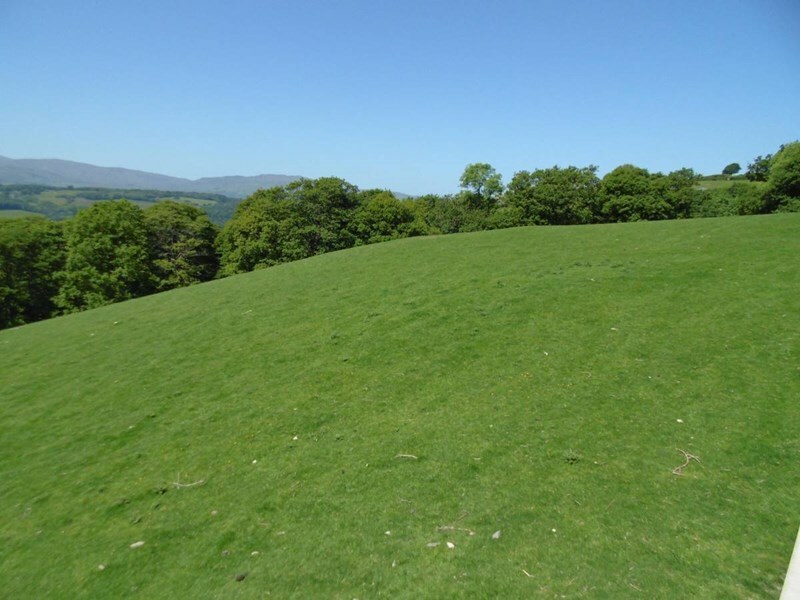 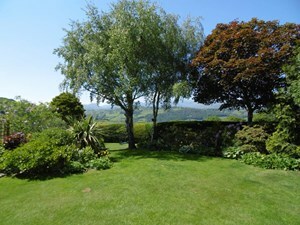 Beyond the formal grounds the land associated with the property extends to some 25 acres. 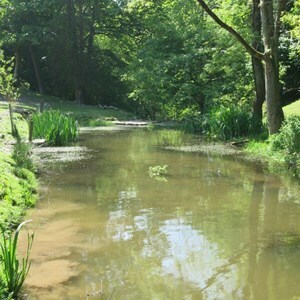 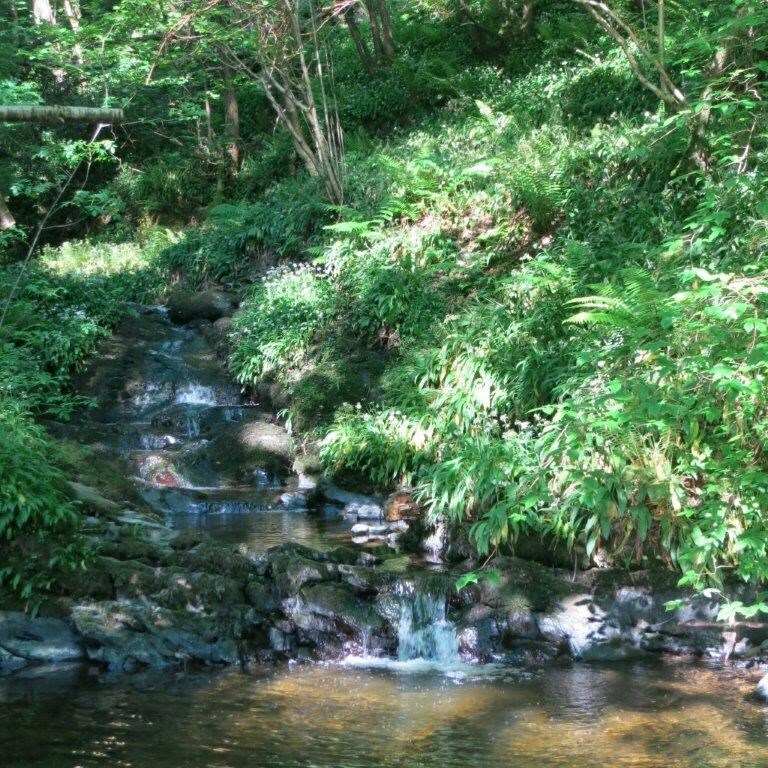 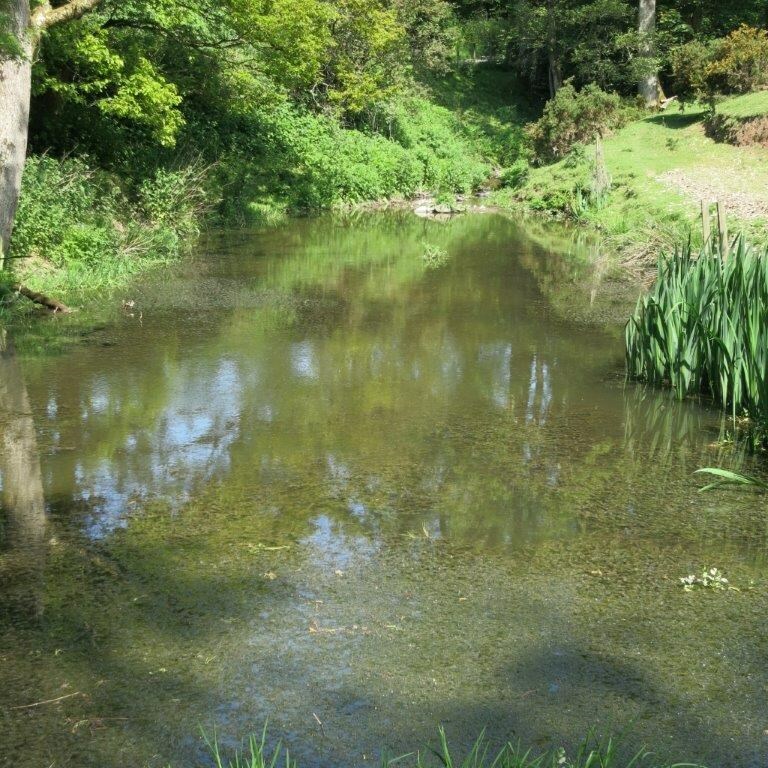 This includes a lake, a beautiful waterfall, a large area of woodland and a piece of grazing land. 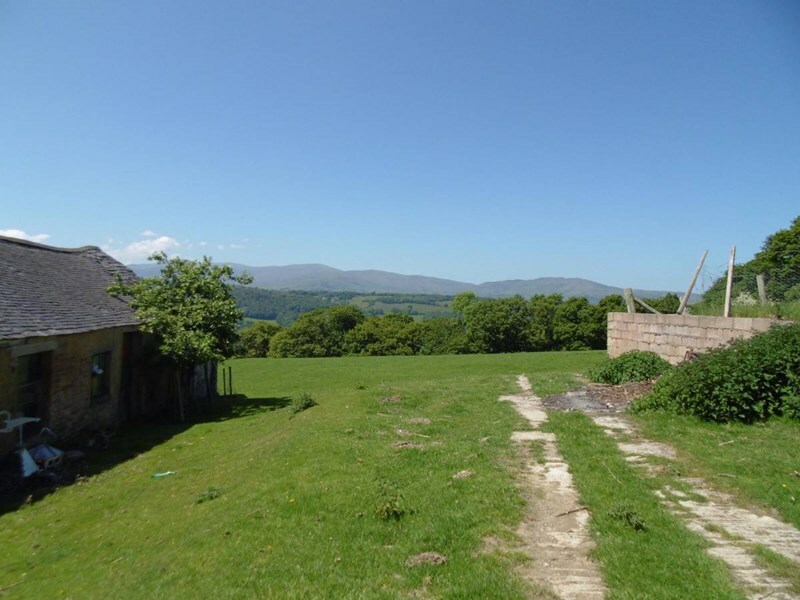 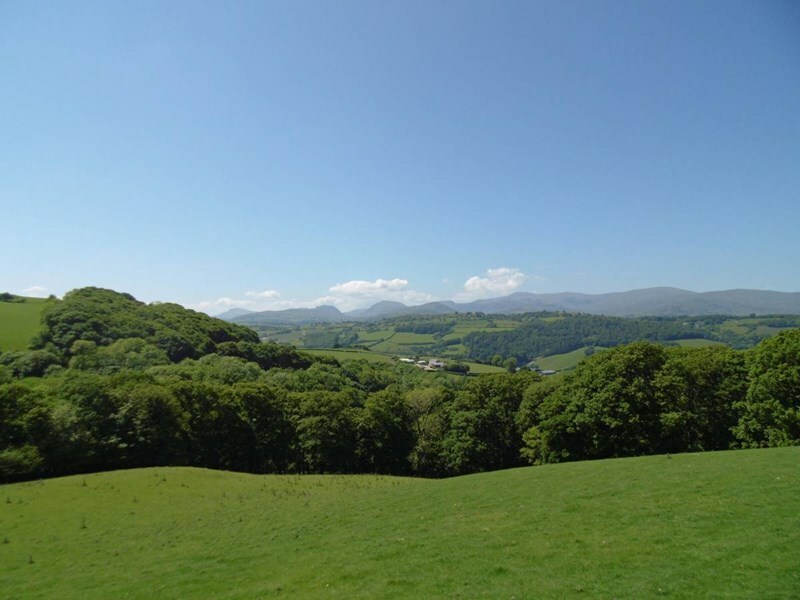 This is an incredible opportunity to own an extraordinary part of North Wales, with an awe inspiring view. Come and take a look, you won’t be disappointed, but you will need to take your time to take it all in! Low flush w.c, wash/hand basin set in vanity unit with storage below, tiled splash-back, central heating radiator, upvc double glazed frosted glass window to side aspect, tile flooring. Two upvc double glazed windows with slate window sills, one to front aspect and one to side aspect with magnificent views across the valley towards the mountains beyond, central heating radiator. 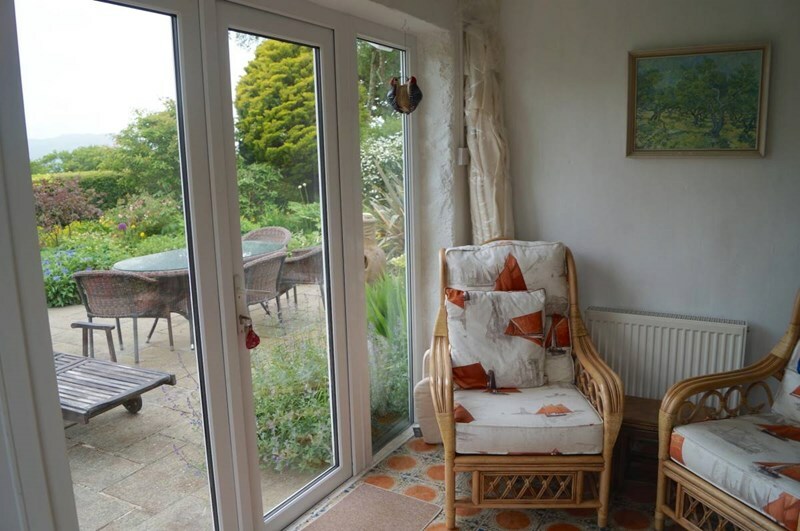 Upvc double glazed doors to both side and rear aspects with magnificent views across the valley and the mountains beyond, central heating radiator, tile flooring. 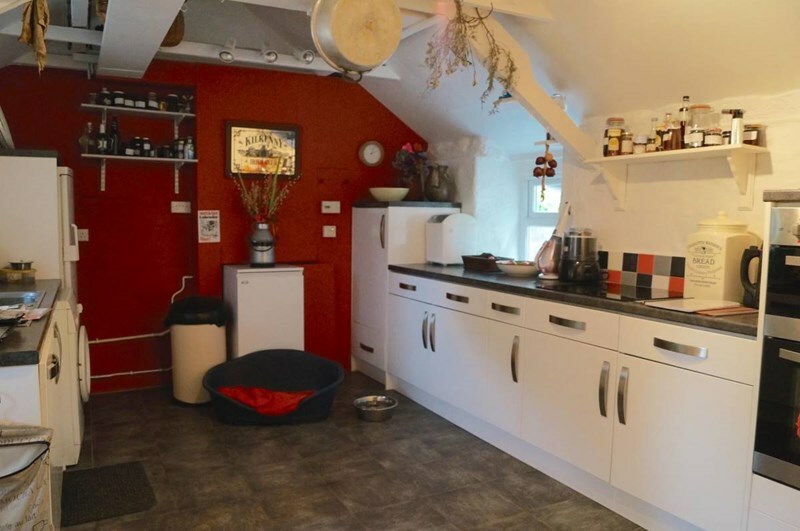 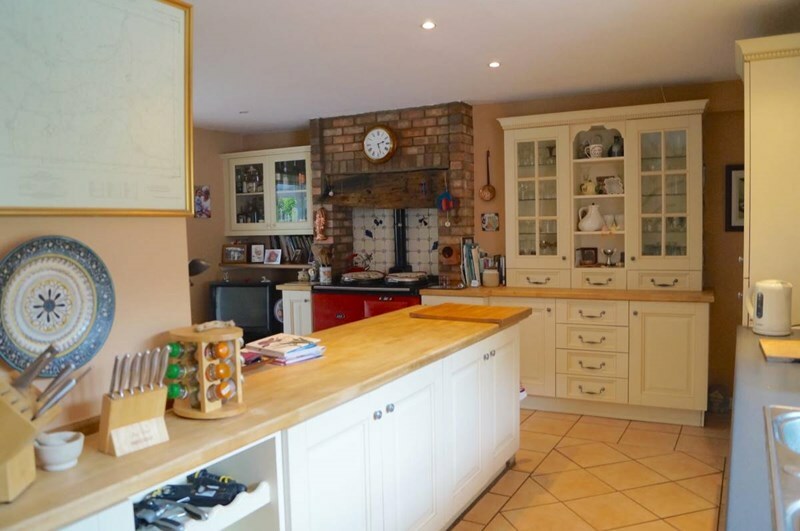 Kitchen Area - 18’ x 6’ 8” 5.49m x 2.03m Range of base, wall, drawer and display units with roll top work surfaces, 1 1/2 bowl stainless steel sink and drainer unit with mixer tap, built in wine rack, space for Aga in brick built inglenook fireplace with wood lintel over, upvc double glazed window to front aspect with deep slate window sill overlooking the front garden, good size larder with shelving and worktop with space for fridge/freezer, tile flooring. 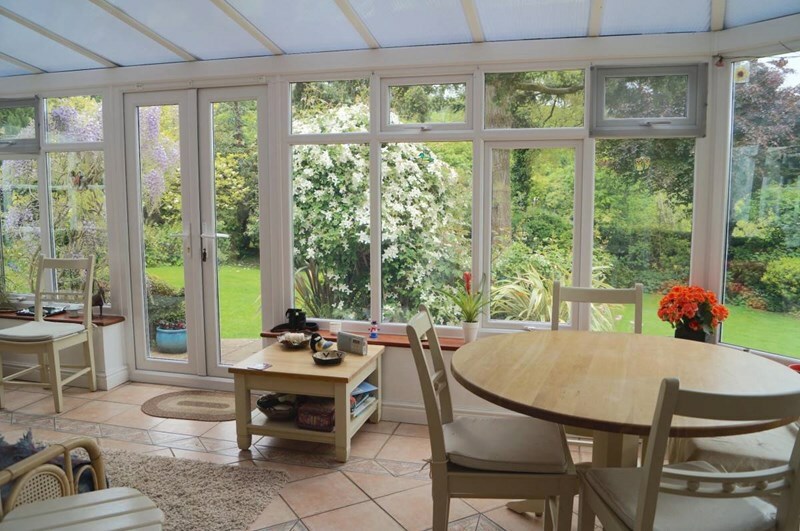 Snug Area - 11’ 9” x 9’ 4” 3.58m x 2.84m Wall mounted display cabinet and display shelf, tile flooring, bi-folding doors give access into the conservatory. 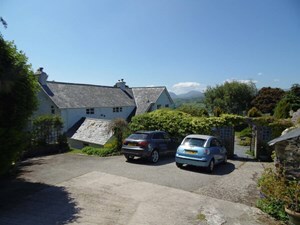 Upvc double glazed windows to triple aspect, upvc double glazed double doors giving access to the lovely rear garden, central heating radiator, tile flooring, magnificent views across the valley towards the mountains beyond. 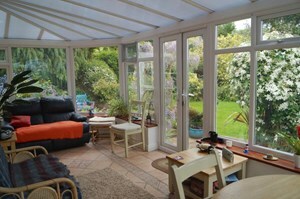 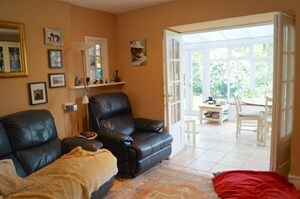 Accessed from both the kitchen and the conservatory. Exposed beams to ceiling, feature stone built fireplace with built in cast iron stove, upvc double glazed windows to rear aspect overlooking the garden, central heating radiator, slate flooring, upvc double glazed window to front aspect, telephone point. 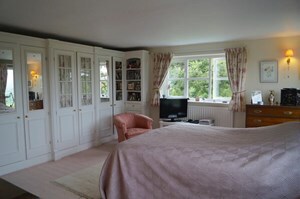 L shaped with built in storage cupboards, two central heating radiators, upvc double glazed window to front aspect overlooking the garden, upvc double glazed window to rear aspect overlooking the rear garden. Upvc double glazed window to front aspect overlooking the garden, central heating radiator. Upvc double glazed window to rear aspect overlooking the garden and mountain views beyond, loft access, central heating radiator. 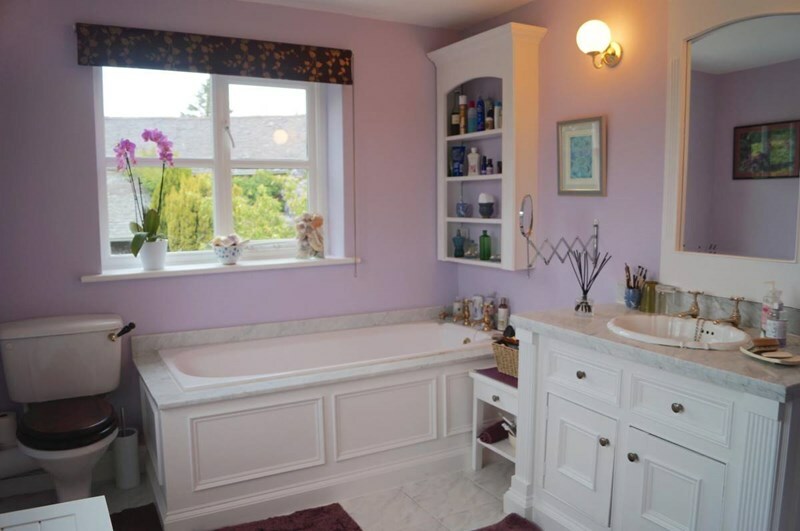 Shower cubicle with glass screen and electric “Mira” shower, low flush w.c, pedestal wash/hand basin, part tiled walls, upvc double glazed window to side aspect, ladder style heated towel rail, tile flooring. Upvc double glazed window to rear aspect overlooking the lovely garden and the distant mountain views, central heating radiator, built in storage cupboards with hanging and shelving. 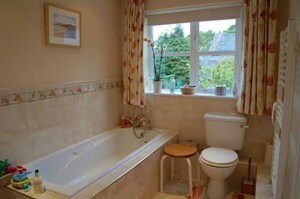 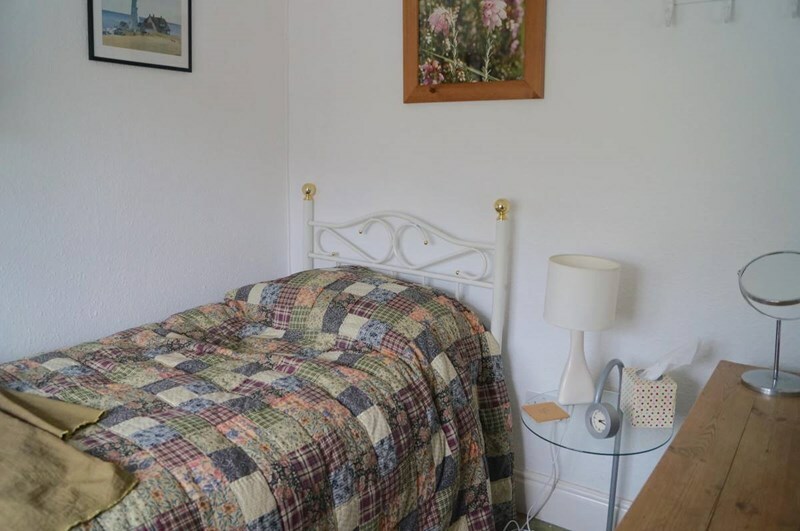 Three piece suite comprising bath with tile surround, pedestal wash/hand basin, low flush w.c, ladder style heated towel rail, part tiled walls, upvc double glazed window to front aspect overlooking the garden, tile flooring, good size airing cupboard housing the hot water tank and shelving. Two upvc double glazed windows to side aspect with a truly magnificent view across the valley and the mountains of Snowdonia beyond, upvc double glazed window to rear aspect overlooking the garden, built in mirrored wardrobes with hanging and shelving, two central heating radiators. Panelled bath, ornate wash/hand basin set in vanity unit with storage below and marble top, separate shower cubicle with electric shower, upvc double glazed window to side aspect with truly magnificent views, upvc double glazed window to front aspect, central heating radiator, tile flooring. A driveway leads to this superb property with ample parking. The formal gardens are accessed via double wrought iron gates set in original stone wall giving a lovely entrance. 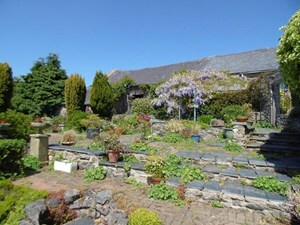 The front garden is beautifully landscaped and maintained on a range of levels with slate flagged and brick paved areas. 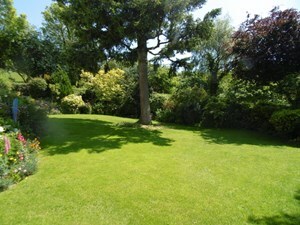 There are mature plants, shrubs and trees, good size lawned area, garden pond with water feature. 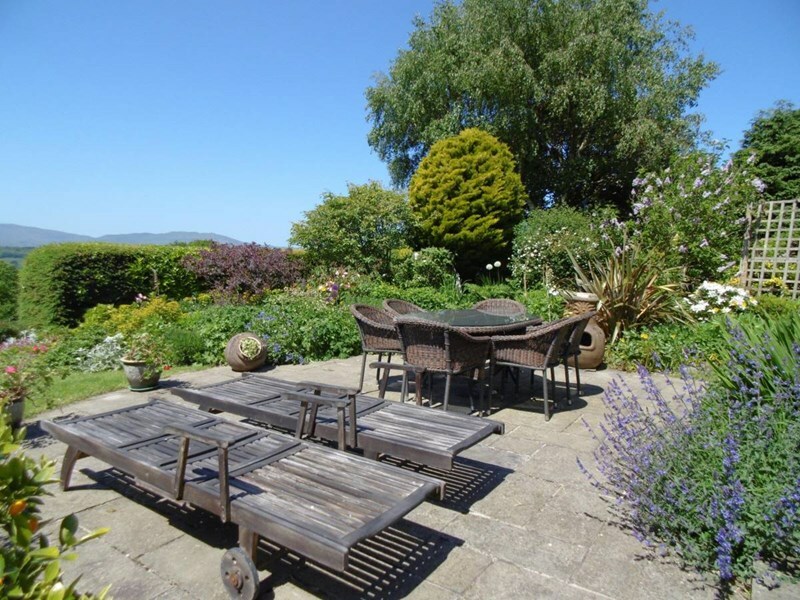 A pathway leads to the front door and continues around to the side of the property with a flagged patio and seating area making the most of the truly incredible view. The rear garden is lawned with mature shrubs and plants, lower flagged patio seating area again with magnificent views. 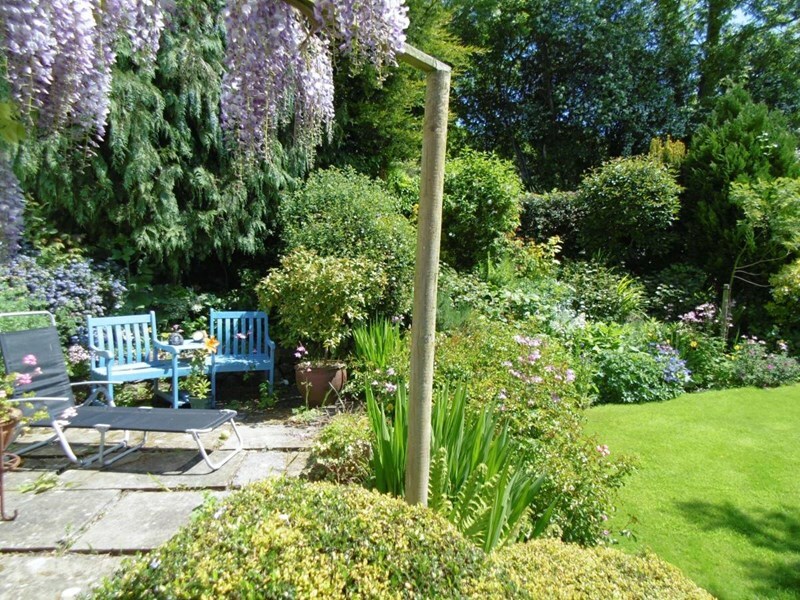 The rear garden continues with mature trees, shrubs and plants, a further large flagged patio seating area again with wonderful views and mature shrubs and plants. 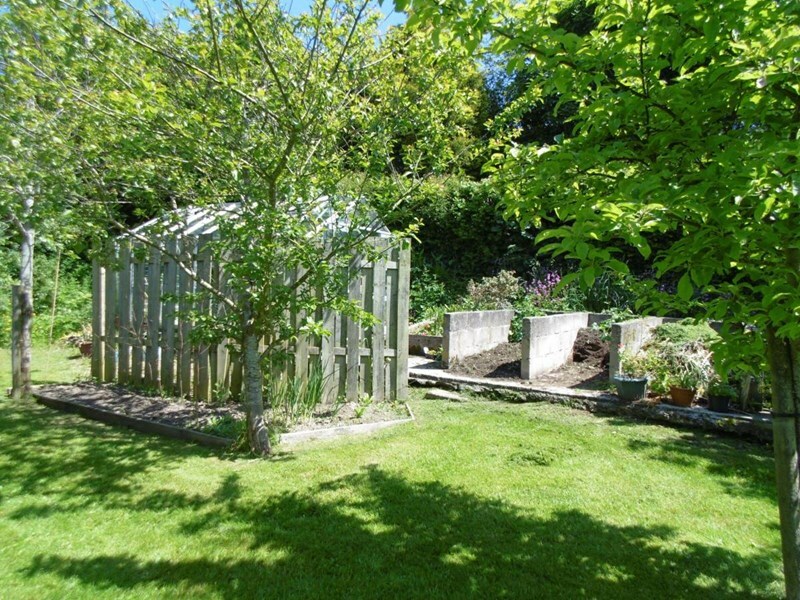 The property has a range of original stone built outhouses. There is a good size chicken run with chicken shed. 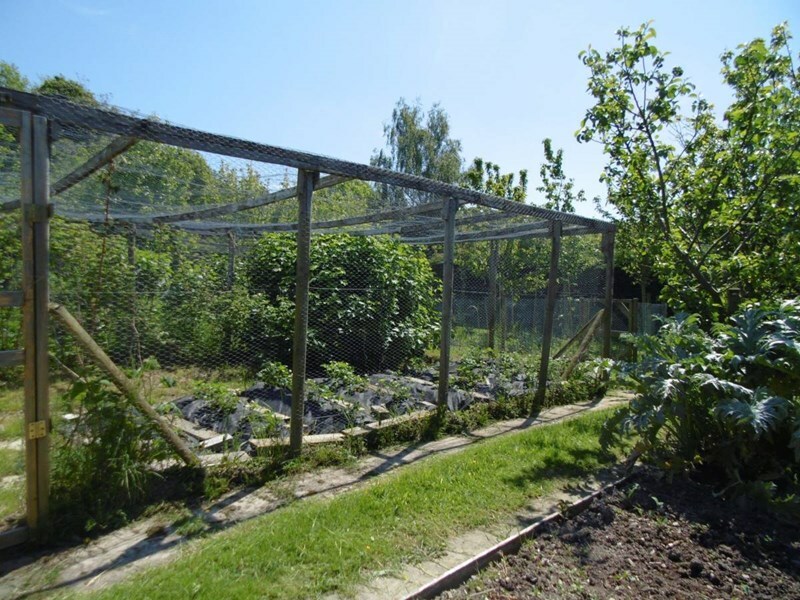 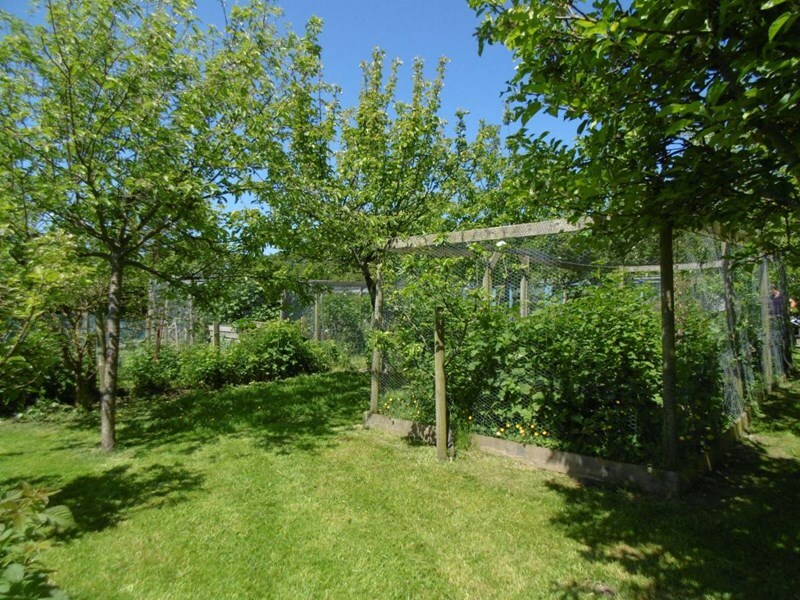 A superb vegetable plantation with a variety of fruit and vegetable growing areas including woodland and grazing. Fence and hedge boundaries. 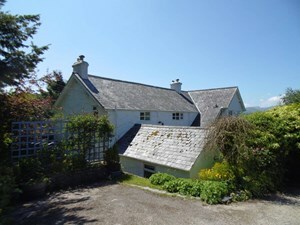 The property stands on land extending to some 25 acres. 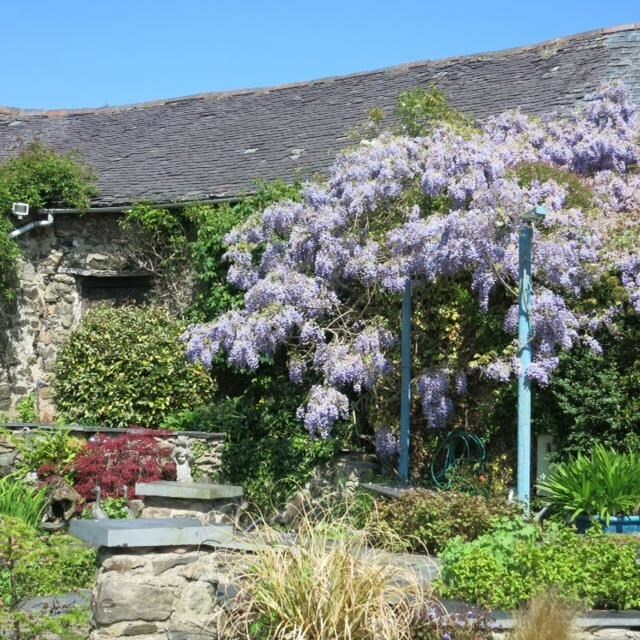 ‘Gyffylog Farm’ enjoys countryside views and is conveniently on the outskirts of the charming village of Eglwysbach which is located in the picturesque Conwy Valley. 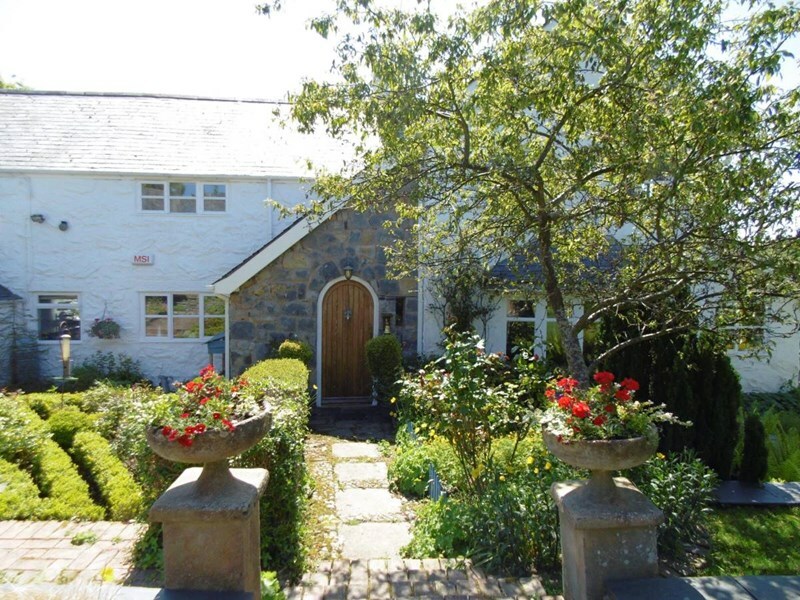 The local services include the public house, post office, church and village school and is on a regular bus route. 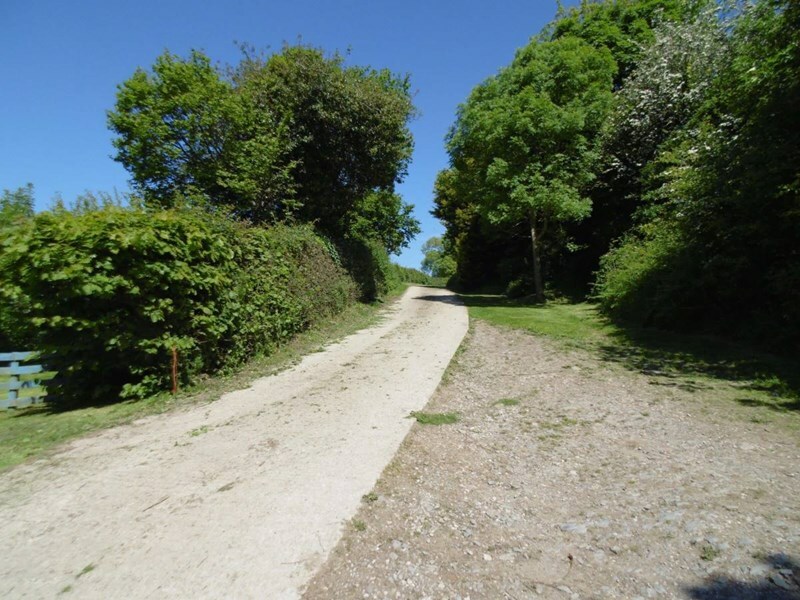 From our Conwy Office proceed around the one way system and back over the bridge in the direction of Llandudno Junction. 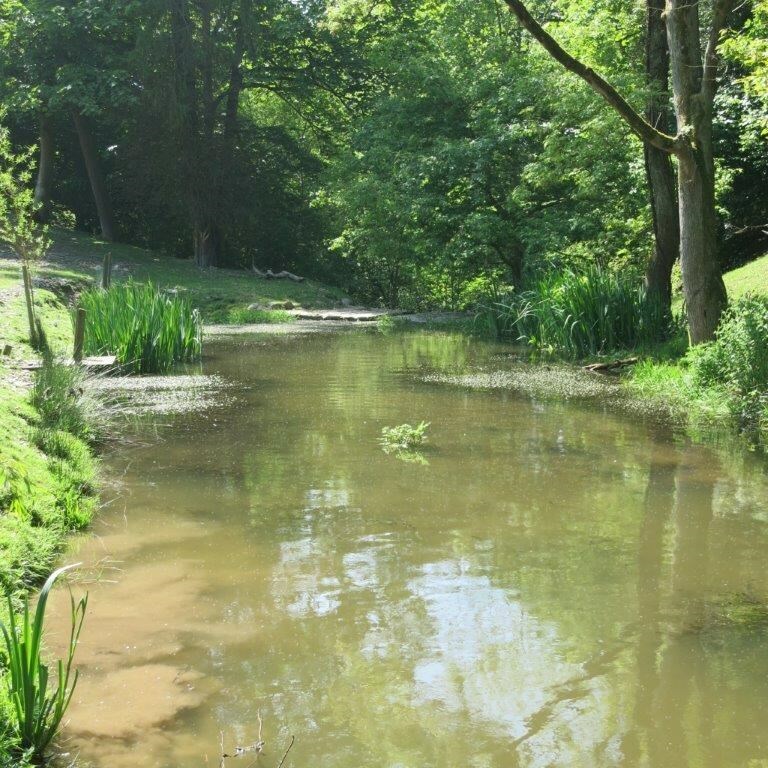 Take the third exit off the roundabout and take the slip road towards Chester. 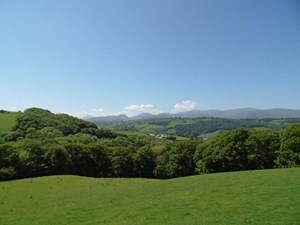 Take the next exit off signposted Betws-y-coed and Glan Conwy. 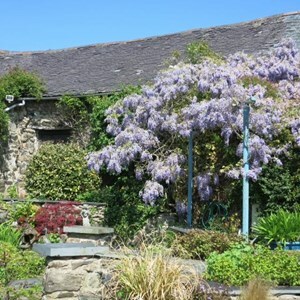 Proceed through Glan Conwy, up the hill and follow the signs for Bodnant Garden & Eglwysbach. 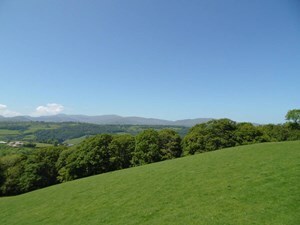 Bear left and Proceed past Bodnant Gardens, continue towards the village and turn left into Ffordd Gyffylog. Proceed up the hill for approximately 1 mile where the entrance to “Gyffylog Farm” can be found on the right on a right hand bend.